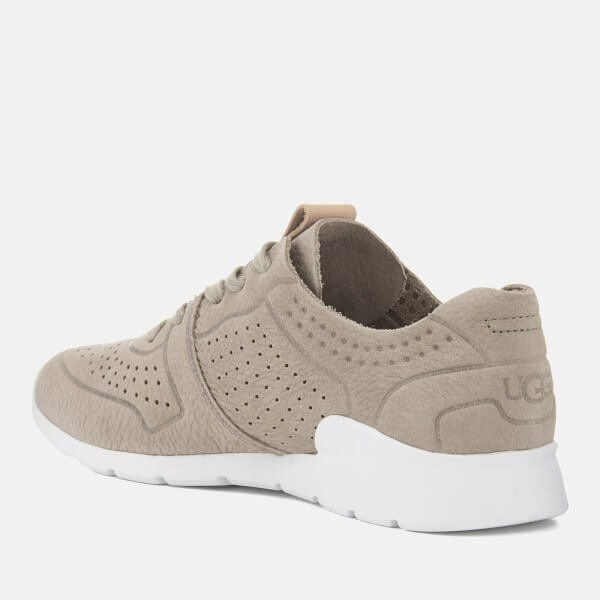 Women's lightweight running trainers from UGG. 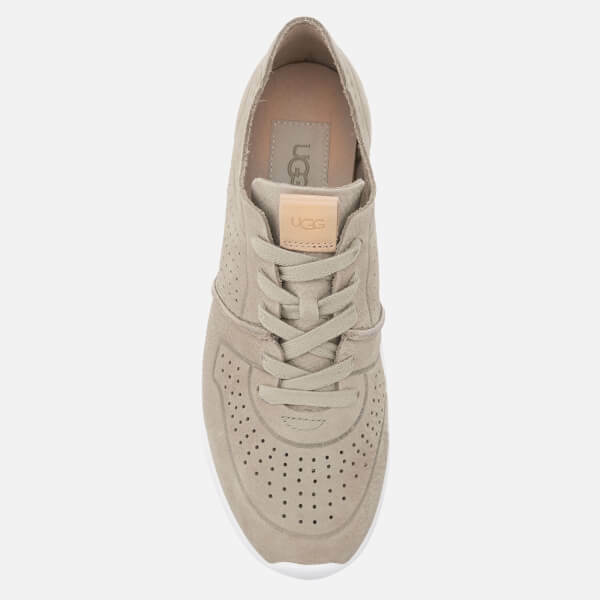 Crafted from soft, deconstructed nubuck leather with perforated detail, the 'Tye' sneakers feature a classic lace-up fastening and branded pull loop to the tongue for entry assistance. 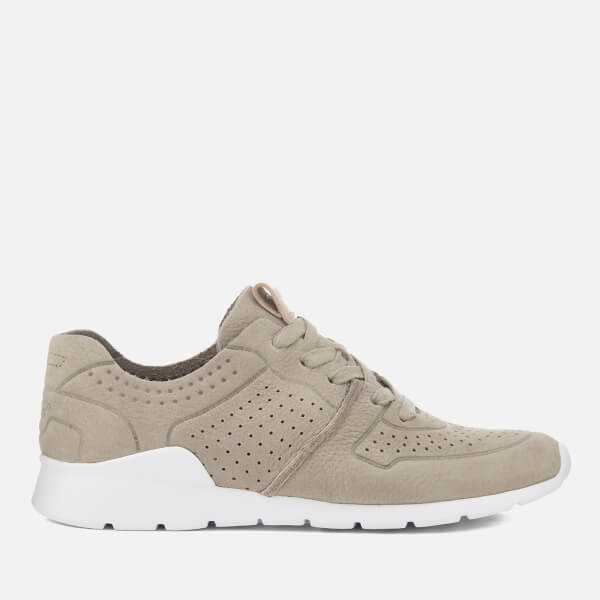 Lined in leather and fitted with a polyurethane insole. 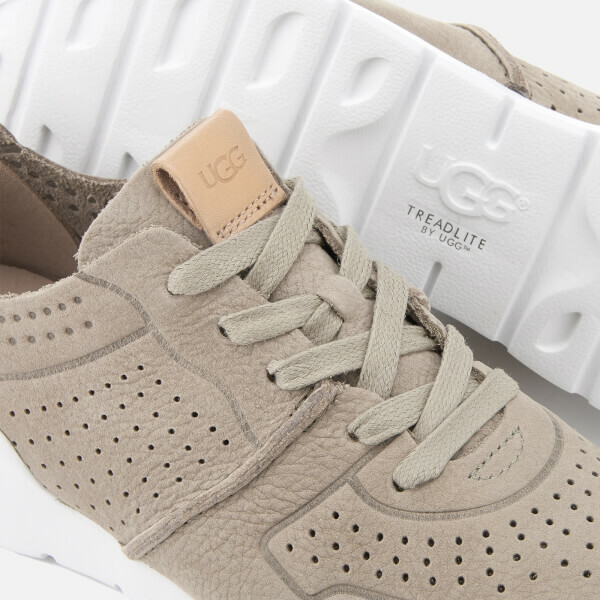 Set upon a Treadlite by UGG™ outsole. Embossed branding to the heel. Upper: Leather. Lining: Leather. Outsole: Treadlite by UGG™.